Woodclinched has taken a short break for the holidays! It doesn’t have anything to do with spending more time with family, or reflecting on the year past or the year ahead. It’s almost entirely because, as of December 1, I started a job at Facebook as a content strategist. Although I’m not even three weeks in, it’s proven to be exciting, overwhelming, and really interesting so far. 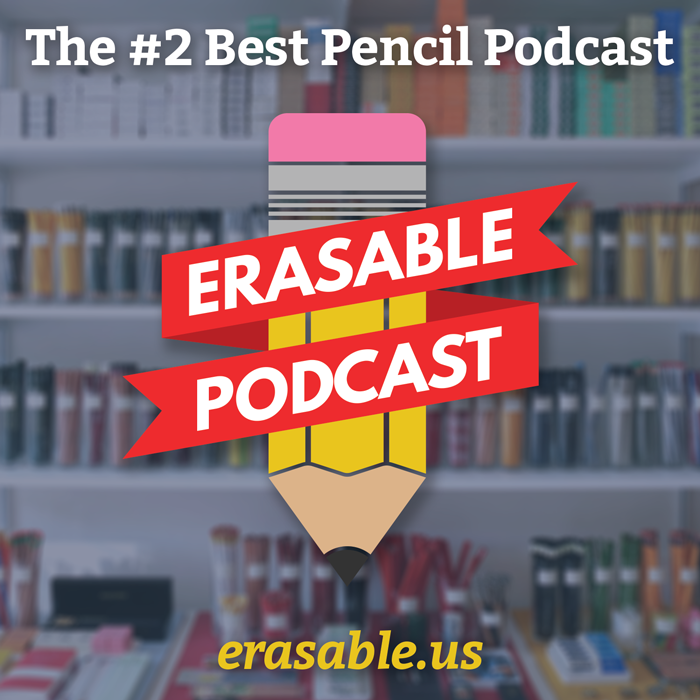 It also means that I’ve been living in temporary housing 2300 miles away from home and my pencil and paper collection! Over the next three or four weeks, my stuff, my wife and my cats will be joining me out here, so until then, I won’t have a lot of time or, well, stuff to talk about. In the immortal and concise words of public radio talk show host Diane Rehm, short break, right back. Facebook, it seems, has a love affair with analog print. We have an Analog Research Lab, which is really cool, silkscreened and letterpressed posters all around campus and even vending machines that sell stickers! This one came out of one of those machines. I got a chance to go to the Maido store at Westfield Mall in the SOMA district of San Francisco. 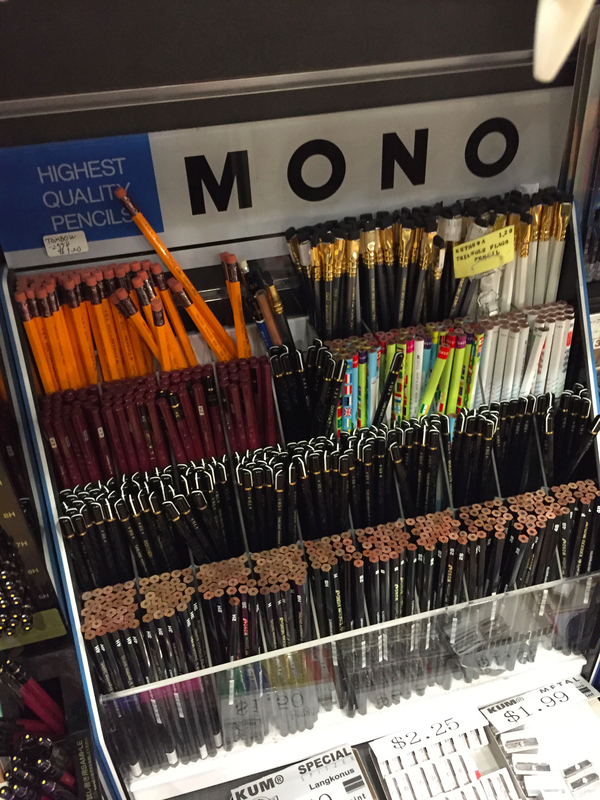 It didn’t have a large selection of wooden pencils, but it had really good ones. So many Tombows. And Palomino Blackwing 602s and Pearls sold by the single! 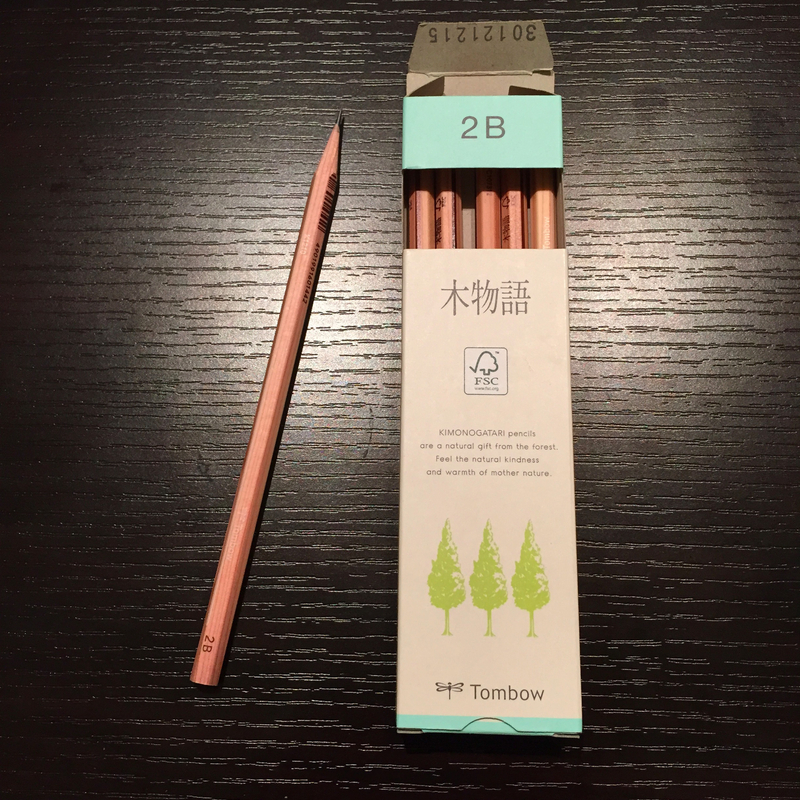 One of those Tombows is an FSC-certified pencil they call Kimonogatari pencils. They’re natural, uncoated wood that’s untipped on the end. It’s super smooth with some stripes running down the side. I loved these so much I bought a dozen. 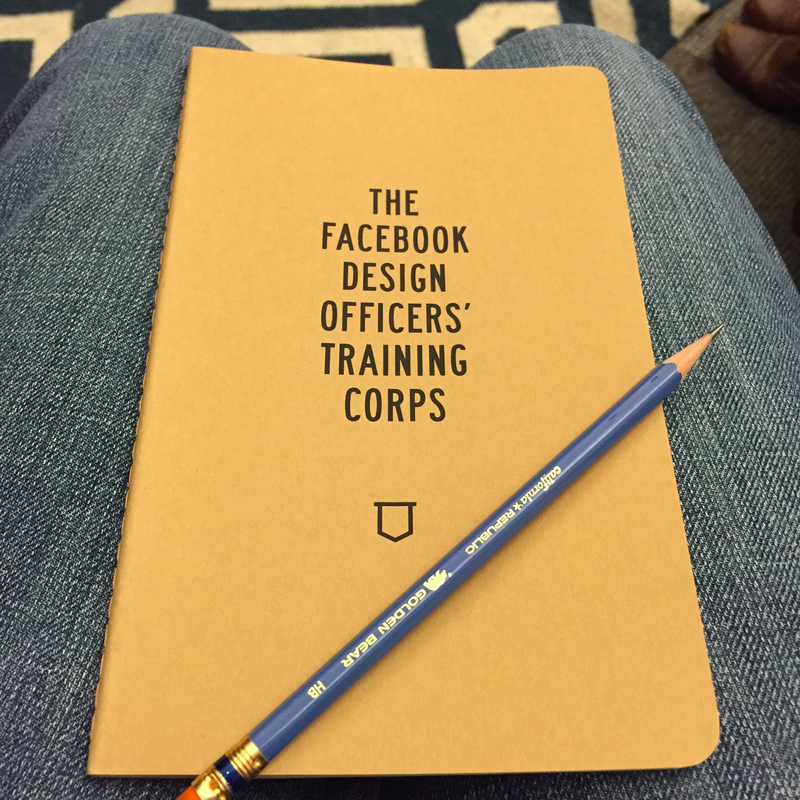 On the paper side, Facebook has so many cool little custom notebooks. There are a bunch of varieties of custom ScoutBooks, but this one was a custom Moleskine cahier. 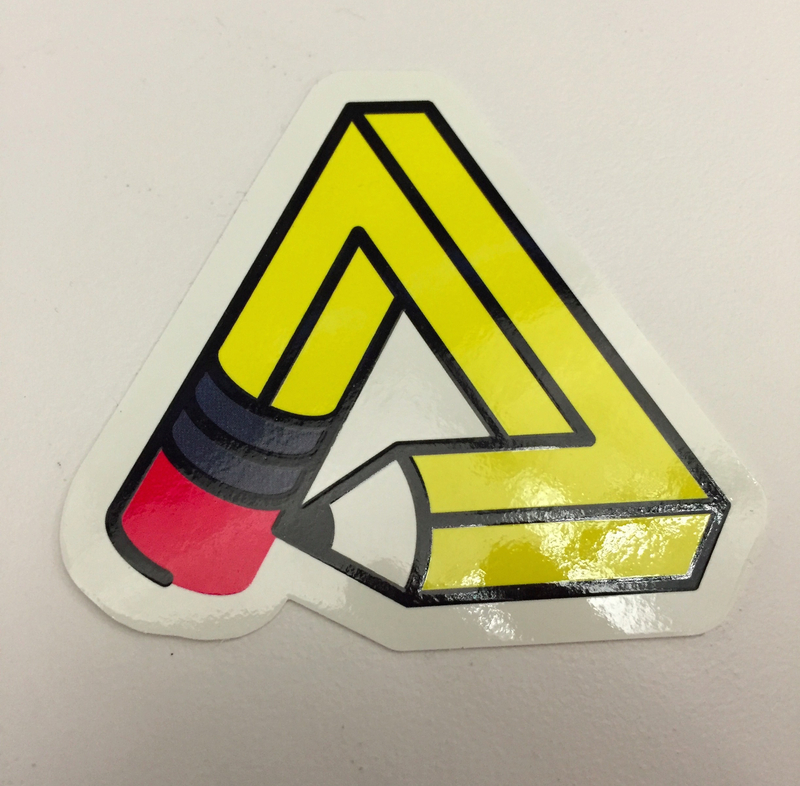 I got it during my design orientation. It looks really good with my Golden Bear. So thanks for bearing with me, friends, and I will be back with more interesting stuff in the new year! Love your blog, and congratulations on the new job. Check out Flax Art and Design in the city for more pencil/paper goodness. Maido’s location in Japantown has different stuff and is also excellent. Congratulations! Must be pretty exciting. And awesome store too!